The post to follow is a grade A example of why not just anyone should be able to put content on the Internet. Seriously, you should just leave now — I won’t take it personally. Once you’ve seen something this heinous, you can’t unsee it. You’ve been warned. 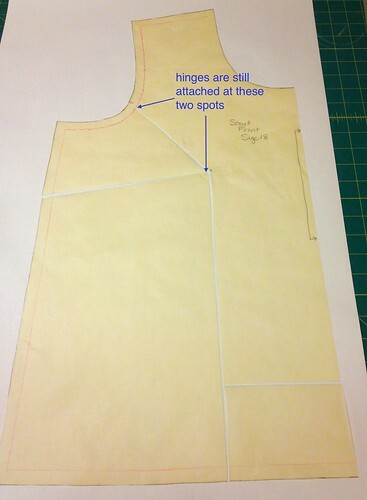 Per request, I am going to show how I did my full bust adjustment (FBA) for the Grainline Studio Scout Woven Tee. For my alterations, I needed additional width from the bustline all the way down to the hem. This method, if you can call it that, ended up working great for me. Here we go. I started the same way I would with any FBA. 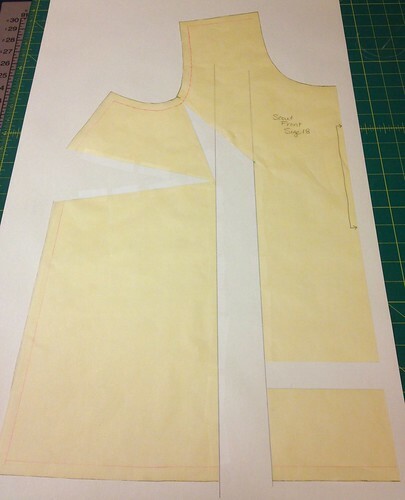 First, I held the pattern piece up to me and marked my apex. I wasn’t worried about getting this precise because I wasn’t adding a dart. From that mark, I drew a line up to the armscye, about 1/3 up from the side seam. I chose this spot because that’s where I typically make my FBA — higher on the armscye, or from the shoulder point, gives me width in the upper chest that I don’t usually need. So far so good, nothing earth shattering. I cut along the lines, leaving “hinges” connected at the two points shown above: the seamline at the armscye, and the point of the horizontal dart-which-isn’t-a-dart. 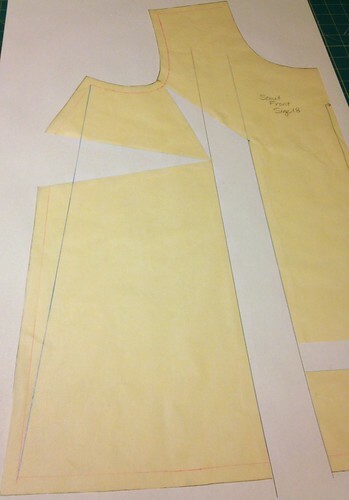 Next, I drew two parallel lines on the piece of paper where my pattern would be mounted after the alteration. My lines are 2″ apart, because I wanted 4″ total to be added to the center front width. (This is really just the width that will be reflected at the hem, but more on that to come. It’s not too late to make your exit.) Then I carefully placed my connected-by-two-tiny-hinges pattern piece atop this paper, and spread the pattern accordingly. I taped everywhere and admired my well-executed FBA. But now my story goes sideways. The issue I had at this stage was the side dart I didn’t want. Sure, I could have just added a dart to the pattern, but I was unable to reconcile that with the goal of having a woven tee pattern with no dart. I could have rotated the dart to the bottom, but then the top would have flared more than the style dictated. So what did I do? I just drew a new seamline from the end of the armscye to the hemline, as shown in blue below. 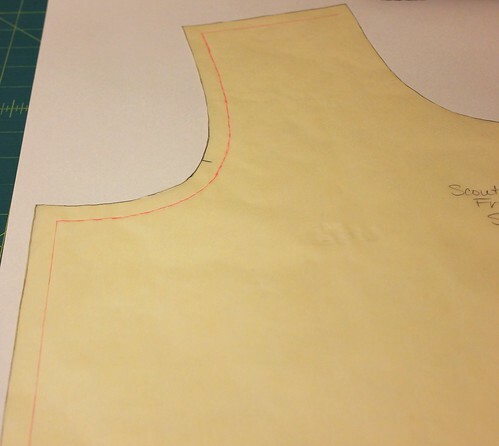 I waited a beat or two, and when lightning didn’t strike me, I squared up the side seam at both ends (to the armscye and the hemline) and redrew the cutting lines. Lastly, I adjusted the back pattern piece so that the side seams matched, as I needed extra room at the hips on that piece as well. I know. This added length to the sides that I didn’t theoretically need. It took out some of the room I had spread to add at the bust. I’m sure it did a plethora of other unseemly things, and I don’t recommend it to anyone! But somehow, I ended up with a great fitting top. As I was writing this post, I ran across a great tutorial for an FBA for the Renfrew top, and it makes much more sense than what I did. It preserves the length and curve of the side seam, so I plan to try it for my next dartless FBA. Best of luck with your pattern alterations, which should in no way resemble the one I’ve outlined above. I admire the courage you have to just go for it no matter how weird it looks on paper- definitely a new approach! And the top looks so great on you. Double win. I’m so glad that I read this at home instead of at work – I was laughing like a loon! Thanks so much for writing this up. Once I get back from vacation, I see a Scout (or two) in my future! Red White and Blue Scout Tee | Sew All The Things! 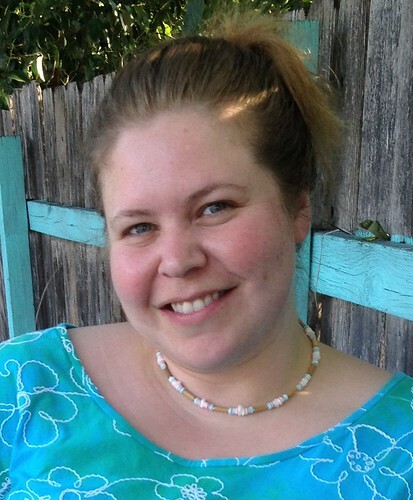 Knit Scout Glee | Sew All The Things!